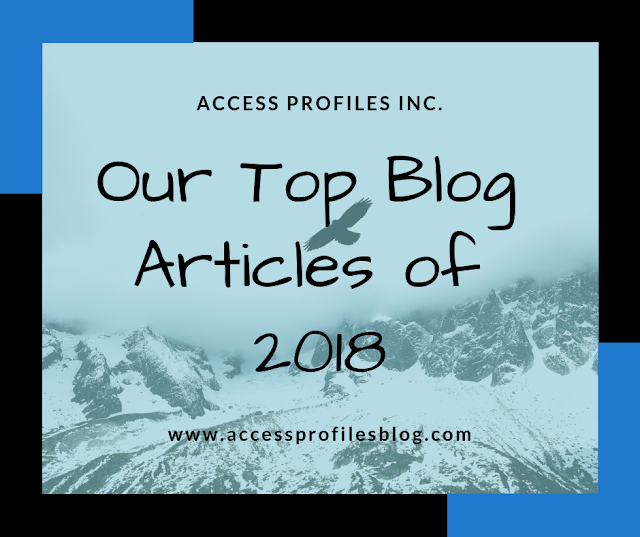 Our Top Blog Articles of 2018! Every new year we take a look back at the blog articles that have been the most popular with you, our readers. Sometimes we are surprised. Articles that we thought would resonate, fall flat. While others seem to take on a life of their own. But either way, reflecting on what worked and what didn’t helps us plan for the new year ahead. Our first honorable mention, “Why do You Believe in what You Sell” was originally presented as a question on Alignable. The topic intrigued us and so we decided to share my answer (below) with our readers. 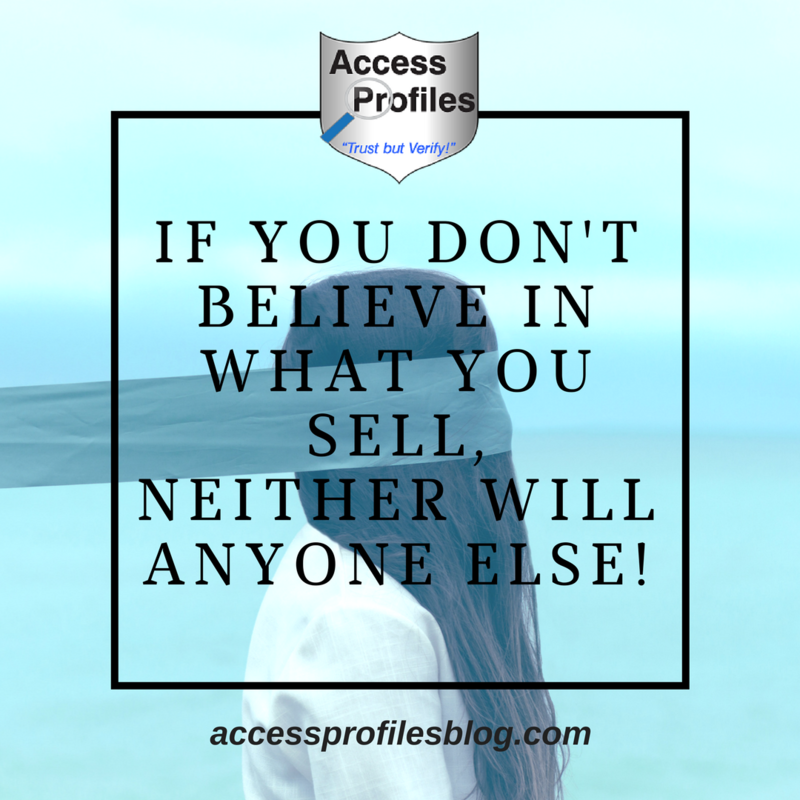 “While we ‘sell’ services (employment background checks and business mentoring), we find it essential to completely believe in what we do and why. And since our clients essentially get US when they sign on, it definitely helps that we believe in ourselves and that what we do is valuable. We would find it very difficult to promote what we do if we didn't believe in its quality and value!”. When your focus is on what you can do to truly help your clients, it is easy to believe in what you do! And many seemed to agree with this sentiment! Our next set of popular articles focused on hiring and the workplace ~ topics that are at the forefront of what we do at Access Profiles, Inc. Employers value honesty, especially in their employees. But is it really possible to tell if an applicant is honest before you hire them? And, even more important, is it possible to assess their honesty during the interview/ background check process? 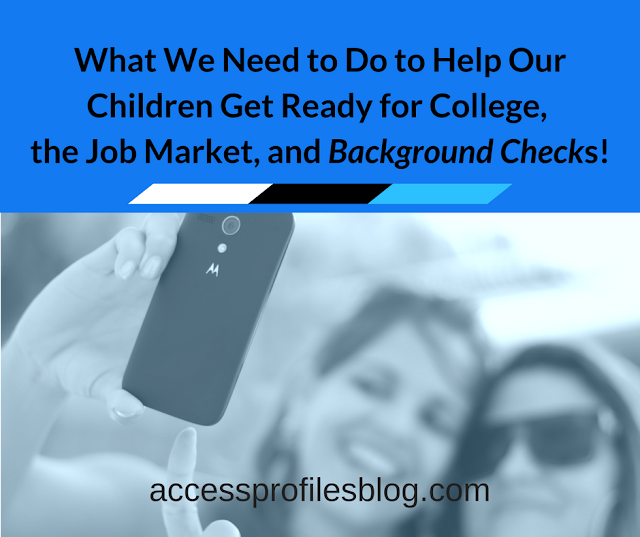 "Do a Background Check! While it is important to first wait until a conditional offer of employment has been made, the employment background check is the perfect cross-reference between what a candidate told you during the interview and stated on their resume and the truth. Honest candidates will be as exact as possible in their dates and title of employment, their degree and certifications, and any other information they list. You can also check with past supervisors concerning any job duties or projects mentioned by your candidate. Verifying this information can go a long way towards checking on the integrity and honesty of anyone who applies for employment with your company!”. We truly believe that doing a good background check is an amazing employment tool that should be a part of every company’s hiring process. We found this article was popular among employers, especially those running small businesses, and job seekers. These groups are always curious, and sometimes confused and wary, about the merits and process of employment background checks. 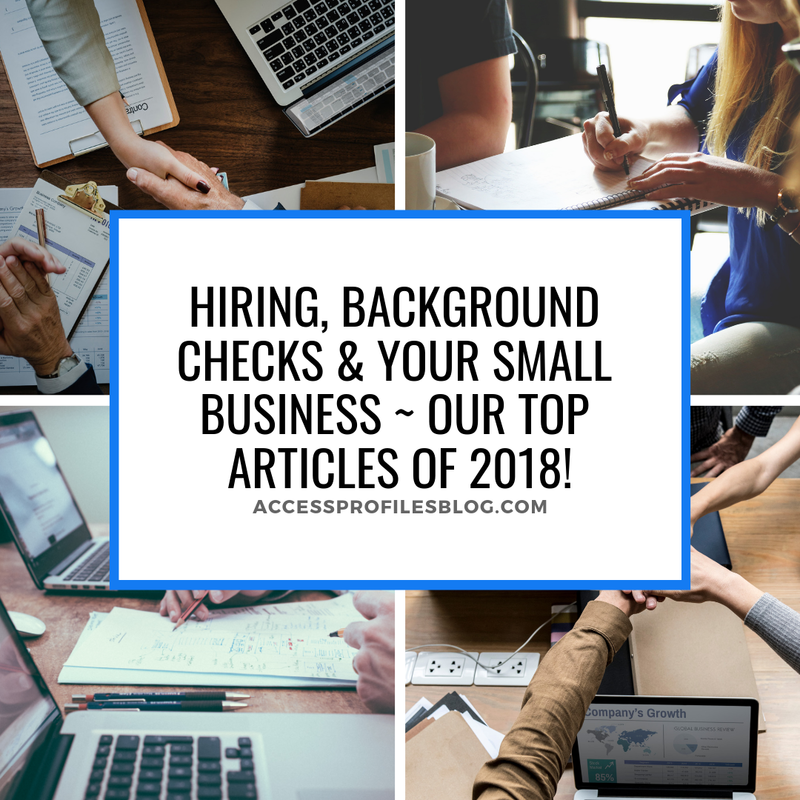 In our opinion, background checks are a valuable way to get a good feel for an applicant’s honesty…and that is the best basis for building a good employer/employee relationship. 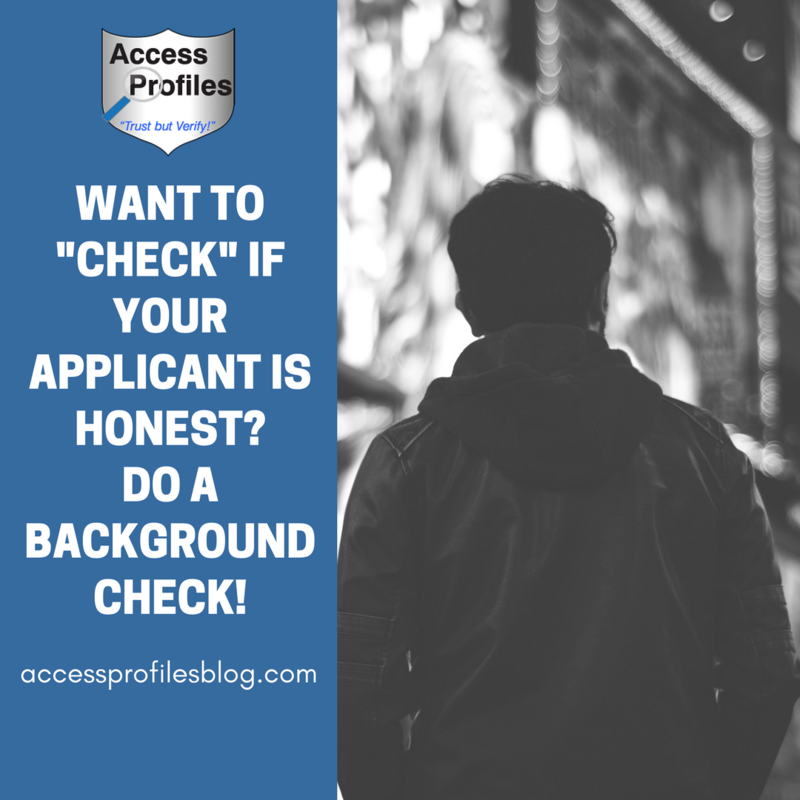 Find out more about how background checks can help you assess your applicant's honesty here! Our next article, “How Do You get a Decent Job with a Criminal Record”, dealt with the problems ex-offenders face in finding employment ~ and the questions and concerns employers have in hiring them! Is it possible to get a job when you have a criminal record? This question is very common among ex-offenders. The truth is that many people have some sort of criminal record, and that is most likely why this was one of our most read articles! While most have records that include a misdemeanor or two, there are some that have committed more serious crimes ~ and this makes finding a job especially problematic. However, gainful employment is one of the best ways to keep those with a criminal history from re-offending. 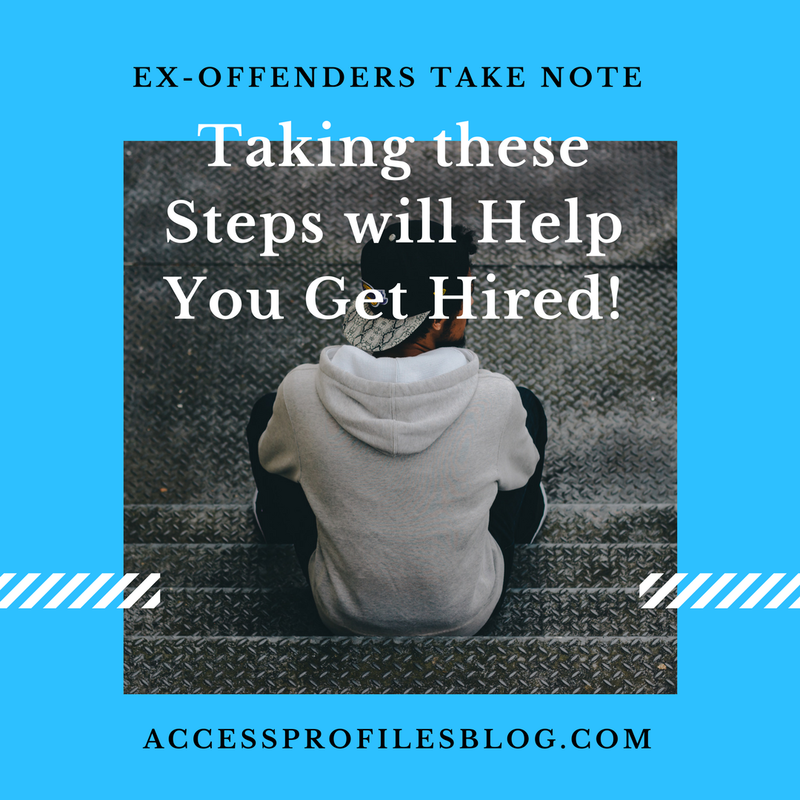 So what are ex-offenders and employers to do? How can job seekers with a criminal past make themselves more “hireable” and what can, or should, employers do to help? There are definite steps that ex-offenders can follow to not only land a job but to help them understand what to do once they get hired. Discover these steps and what employers need to know in “How Do You get a Decent Job with a Criminal Record?”. Another top article, “Should You Pay your Interns?”, focused on the long running debate over whether or not interns should be paid. Some think that the internship experience is enough, no pay is required. Others believe that when an intern is doing what an otherwise paid employee would do, they deserve compensation. The current law is somewhere in the middle. The Department of Labor has established a “Primary Beneficiary” test to help employers determine whether paying their interns is warranted. This test is designed to help illustrate whether the intern is the “primary beneficiary” of the internship or if it is the company. Our take on whether or not interns should be paid is what seemed to garner the most attention. 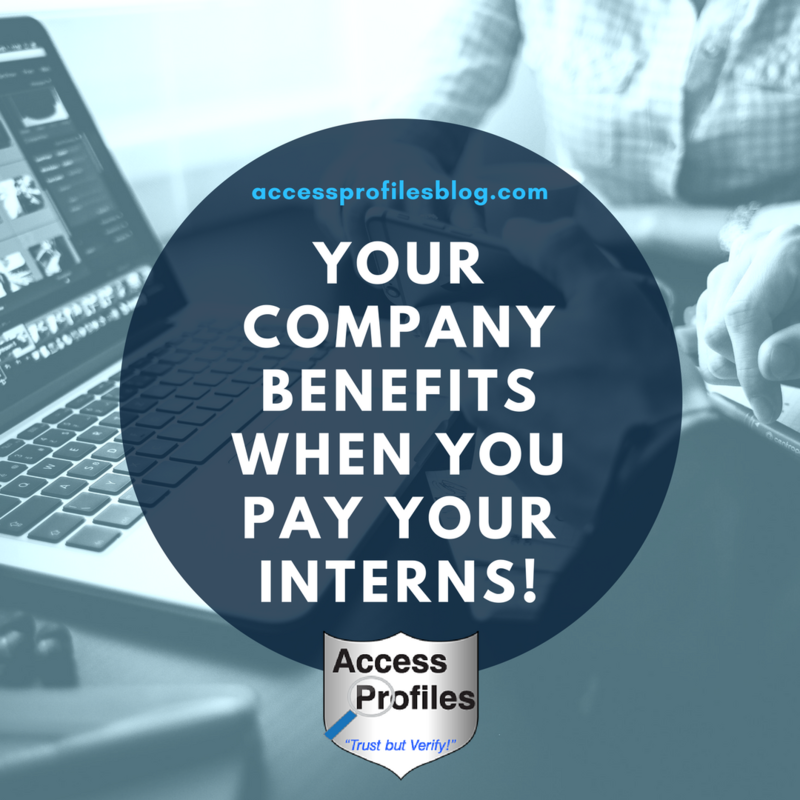 We believe a company benefits when they pay their interns. Paying internships attract a larger number of quality interns, protect a company from possible litigation for not following internship rules, and develop a practice of professionalism in a young intern. Learn more about how internships can work for your small business here! Our final top employment article was entitled “Equal Pay for Equal Work, Still an Issue in 2018!”. “Equal Pay for Equal Work. Seems like this should be an easy concept to grasp. Anytime two people are hired to do essentially the same job, and they bring equal skills to the table, then they should be paid an equal wage. This, however, is not the reality for many working women. Instead, they are low-balled when getting hired and continue to be underpaid when compared to their male contemporaries. 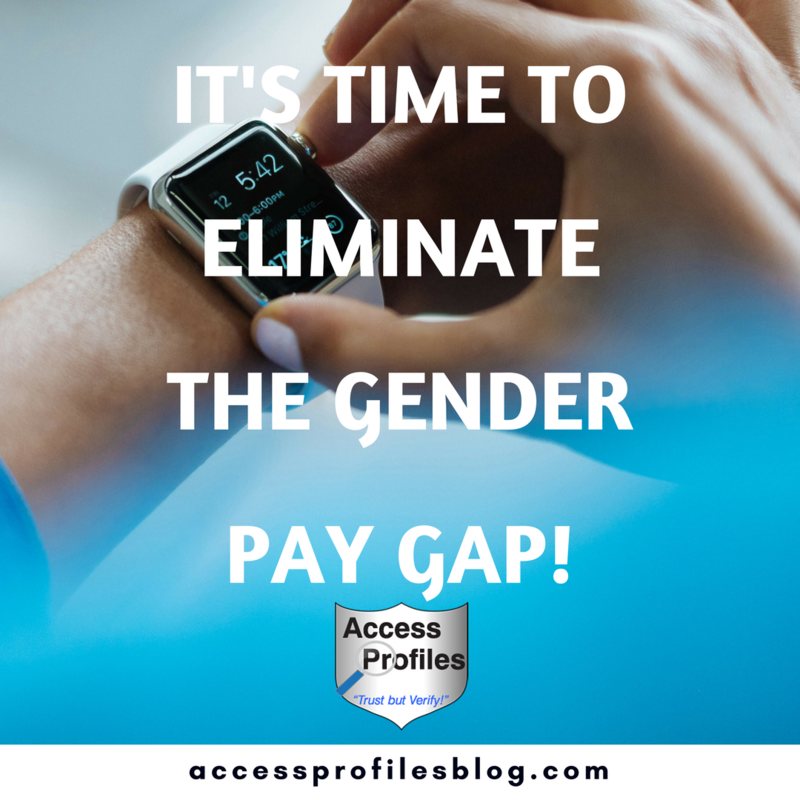 We believe this article found readers because many are either incredulous that women are still confronting this issue or they simply don’t believe that the gender wage gap exists. In our article we dealt with many misconceptions and debunked some of the myths about the gender wage gap, especially why it exists and what we can do about it. Our last two most popular articles centered on what parents and schools can do to help young people feel safe and succeed, both in school and in their inevitable job search. In “What New Grads Need to Do to Land and Succeed in their First Job”, our focus was on providing tips to help students both get the job they want and to get noticed once they are hired. 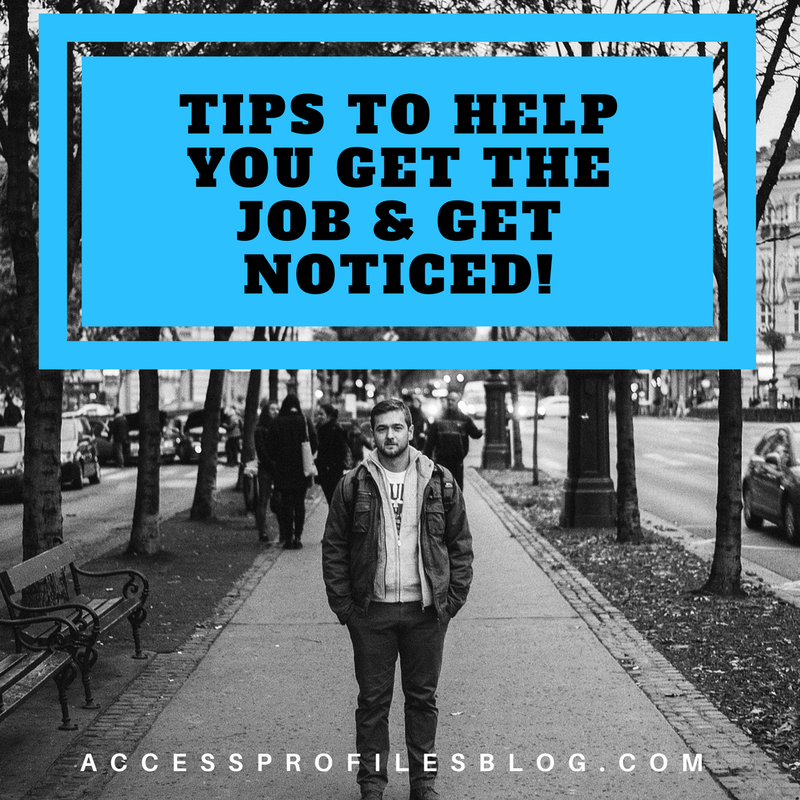 We covered topics like the importance “cleaning” up their social media (and why they should), how to define their dream job, how to make sure they have the skills necessary to land that job, and what is needed once they are hired. Check out these tips and more here! And finally….drum roll please….our top article in 2018 is….. This article definitely struck a chord. It reflects the behavior that is going on in our schools, on the internet, and in our society as a whole. Our article also discusses why the time is now for things to change ~ and why we must all be part of the solution so we are not part of the problem! 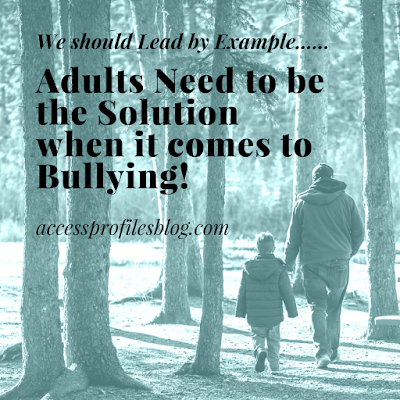 “There are very real ramifications to school bullying that we should all face. The victims of this type of bullying often become alienated from their peers and begin to feel inferior. And what we feel about ourselves when we are children often continues on into adulthood. There are even some school-yard bullies who go on to continue their bullying as adults. Neither scenario is good for us or our society. And if we truly want it to stop, we first need to take the issue of bullying seriously. We can no longer encounter bullying and say things like “kids will be kids” or think it is simply childhood “teasing”. We can’t blame the victim or tell them they need to “toughen up”. But, most importantly, we can’t continue to base our lack of action in stopping the bullying on the belief that “it happened to me when I was a kid and I turned out fine”! These are simply excuses for inaction and counter-productive sentiments that get us no where. Learn more about the steps we all need to take now to stop bullying here, and, quite simply, move towards creating a better world for all! This concludes the list of our top articles of this past year, and we thank you for your interest in what we had to say! 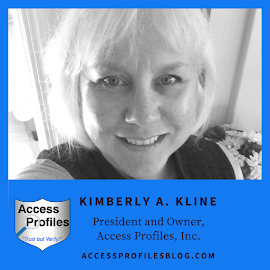 Now, at Access Profiles we are looking forward to 2019! We are dedicated to bringing you more articles covering topics to help you and your small business. To that end, we would love to hear your suggestions! Contact Us and Let Us Know what You Want to Read or what problems you are facing! Who knows ~ you may just see them covered in a future article!! And please Pay it Forward and Share this article on your favorite social sites and help us reach more readers. Thanks for your help, it would be much appreciated! Discover what API has to offer and check out our Background Investigation, Business Mentoring, and Security Consulting services. Find out more About Us and what Our Happy Clients have to say too!